I wondered what shape you would get if you connected all the apex points of all trajectories, if you only changed the angle and kept the same initial speed. Surprisingly, you get an ellipse! Where a = v02 / (2g) and b = v02 / (4g). v0 is the initial speed and g is the acceleration due to gravity. 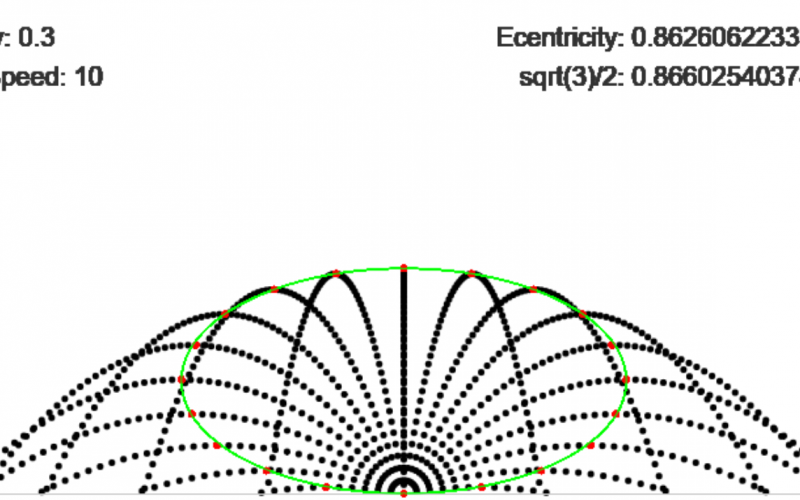 The eccentricity of this ellipse is constant for all values of v0 and g, and this value is e = √3 / 2. Here is the code for the simulation.